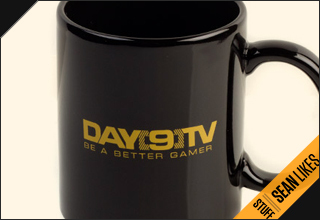 Hey Day9, thanks for your blog post. I am actually really interested in getting involved into esports and I just wanted your opinion on something if you don't mind. See, I love Starcraft II. I love watching the pros. I love the community. I love watching games. I love your show (Particularly Funday Monday) and watching my favourite casters make fun of the game. I love it so much that I've taken up casting myself. But there's a couple problems with this that I've been fighting with for a while. The thing is, unlike you Mr. 9, I don't have a vast amount of game knowledge because I don't play it myself very much. The part of the game that I enjoy is watching it be played by others better than me, but as for playing it myself I'm awful (Effectively Silver league) and when I do it frustrates me so much I ragequit almost every single time. I'm not a competitive person, I hate competitive play and will embrace team games when the opportunity presents itself. I just can't get into that side of the game, so I feel like I fail as a caster because I don't have the extensive knowledge that you do. This point isn't me looking for reassurance that if I just practice etc. etc. I will become a better caster - This is more about me feeling inadequate as a caster because I'm terrible at the game, and asking whether or not I should continue to try casting. What do you think? Next up, is feeling like a copycat. There are a lot of other casters out there - professional, entertaining and otherwise - and I feel like if I took it more seriously and spent more time on it, I'd just be one of many. The idea is far from original. And there's not much about me that stands out - I hesitate to mention that I'm female, since that's not how I want to be recognised, but that's about the only thing I've got going for me. Sure I'll cast anything that's sent to me in my mediocre style and I have a couple small ideas for series and some contacts for clan wars, but I'd be actively competing against much more professional and better-established figures like you. At this point in the game is it worth trying it? And how do you feel about people like me trying to follow in your footsteps/copy you like that? Finally, in the past I've gotten involved running weekly tournaments with small cash prizes as well as running a community team of all leagues that has two weekly practices and clan wars. I believe I can be a very organized person and I love working with a schedule, but I don't know that that sort of thing has any value to the esports scene as a whole. Sure it's great to keep my community busy inbetween watching your dailies and laddering, but I have actually asked a couple of teams whether I could have a place on their staff and haven't gotten much response back. I've since had to step down from that position because it was interfering with my real life job, but since stepping down from my real life job also leaves me with lots of time (And consequently no money) I could now realisticily do more although I would still need some way to use it to pay the bills. How could I market myself here? Do you think community manager/tournament organizer would be skills I could use towards a job in esports that pays a little better than volunteering? Blog #2: Getting a job in eSports. What does eSports currently need? I was so intrigued by your responses to Blog #2 (“Getting a Job in eSports”) that I decided to bump back Blog #3 and jump into the current discussion. I’m calling this Blog 2.5. My idea to expand upon. I'm going to post this or a revision of this on Tl, where I was going to post originally but i reset my password and my email account is down the time being. Blog #4.0: What eSports Business should I launch? So you’re ready to step up to the plate and begin growing your own eSports career. Awesome! Before you take too many steps, allow me to stress a couple of lessons I wish I knew before I started!